Are Physicians the Canary in the Coal Mine of Medicine? Back in the day, coal miners always carried a canary with them in a small cage whenever they would go down in the mine. The canary is a very talkative bird, always singing and tweeting in a constant background noise. 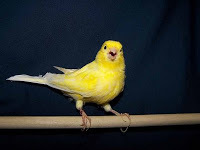 Canaries have one more characteristic important to a miner. When there is bad air in the mine, the canary’s sensitive lungs will cause it to drop over dead before the miners notice any shortness of breath. When the bird stops singing … the miners head for the surface … fast. It is a life saving maneuver. Here in 2013 as we start to implement the provisions of Obamacare and projections of physician shortages as high as 91,500 by 2020 come from respected sources, I believe we have a similar “coal mine” situation in healthcare. Unfortunately, physicians appear to be the canary in the mine. Even before the pseudo-shortages of the Affordable Care Act, physicians were not in good shape. 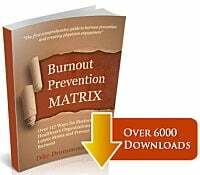 Symptomatic burnout is present in an average of one in three doctors on any given office day. A 2012 survey by the Physician’s Foundation reported that 60% of doctors would retire today if they “had the means”. High patient volumes, the hassles of Electronic Medical Records (EMR), political uncertainty and changing reimbursement rates are all cited in surveys and online forums as new and increasing sources of stress for doctors. Healthcare organizations will soon be paid bonuses for reaching certain care quality indicators and patient satisfaction thresholds. 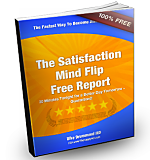 Patient satisfaction is incredibly important and should be tracked and rewarded. At the same time, if care organizations simply use these reimbursement changes to dump more stress on the doctors they will actually block the doctor’s ability to be present and care for their patients more effectively. Where is the tipping point, where the canary falls off the perch? Healthcare is a classic giving profession. Doctors and nurses learn early that patients come first. Our job is to serve them as best we can, no matter how tired or drained we may be feeling. Their needs come before ours. Simply acknowledging our own needs is a challenge. Finding time and tools to get them met is a struggle for most physicians. It is rare for the physicians and staff to appear in the Mission Statement of a care organization. The patients and care quality will always be front and center in the mission. Any mention of the providers and staff is very rare. This creates a double bind where the providers are challenged to get their needs met and their organizations fail to acknowledge we have any in the first place. As a result, many healthcare workplaces feel like a classic sweatshop environment. There are too many patients to be seen, multiple systems come between the doctor and patient (EMR for instance) there are quotas to be made and no regard whatsoever is paid to the health, wellness or stress levels of the physicians and staff. The workplace resembles a mine. We are waiting for the physician/canary to drop. 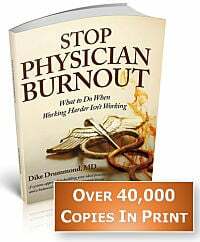 In my work with doctors with career threatening burnout, it is common to hear of hospital departments and group practices where the entire staff is just barely making it through their work week. The only reason these toxic workplaces don’t implode is the stamina and work ethic of the doctors and staff in the system. On one level, residency is a work hardening program for physicians. We can take a tremendous licking and keep on seeing patients. Our organizations know this and just pile it on. The leaders count on the doctors to carry any load they pile on while taking no responsibility for the stress involved. It is just like putting a canary in a shaft where you know the air is bad and hoping it survives. Tragically, unless your group actually monitors for physician health and satisfaction, the toll burnout exacts on the doctors and their patients remains invisible. - Higher levels of divorce, alcohol and drug use and suicide for the physician – our Canary. So how much longer can we simply pile more and more stress on the doctors? When will this canary be stretched beyond its limit and simply topple off its perch and crash to the bottom of the cage? Does anyone care or is this something doctors just have to take care of on their own? I believe there is a different path available to healthcare organizations. This path results in a win:win:win situation. The key is to stop taking the canary down the mineshaft in the first place. Focus the same amount of effort on creating a healthy environment for your physicians and staff as you do on patient satisfaction for one simple reason. Your doctors cannot produce consistently high patient satisfaction scores if they are not consistently healthy and happy at work. Happy doctors naturally have happier patients. Put the canary in a sunny window and change the papers in the bottom of her cage. This is a fundamental shift with positive consequences for everyone in healthcare. I believe the most successful organizations in the near future will be those that acknowledge the universal presence of physician stress and burnout. They will monitor for burnout and support the health of their providers and staff in multiple innovative ways. They will put physician health and wellness in their mission statement as a priority equal to that of patient satisfaction. There are hundreds of proven ways for both physicians and organizations to make real and lasting changes in the physician experience as soon as this fundamental shift is recognized. I also predict this type of organization will be rare. Leadership must stop simply loading on more work responsibilities and cracking the whip. Organizations must be committed to caring about the doctors and staff and constantly focused on creating a healthier and more efficient workplace. With this new priority of physician wellness, these same organizations will be able to activate the power of a physician staff that is balanced and healthy, with their physical, emotional and spiritual needs met. This is the natural foundation for consistent quality care and patient satisfaction. Just imagine a work environment … where you enjoy your work team and the practice environment, the systems work to let you care for patients smoothly and effectively and you know that your leadership “has your back” and really cares about the quality of your experience as a member of the group. What would that be like? Our healthcare workplaces don’t have feel like a coal mine. We don’t have to sit around and wait for the canary to drop. Do you work in a healthy workplace in an organization that cares for their physicians and staff? Do you appear in your organizations mission statement? What is the biggest stressor in your practice that your group could change if they wanted to?